Lose That Girl: RATE IT! Don Draper - He Returns! Only. Four. More. Sleeps. 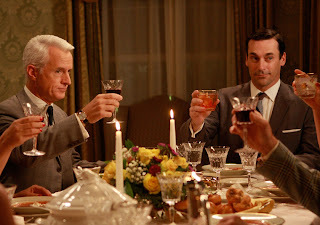 'til Don Draper & the gang at Sterling Cooper return for season 3 of "Mad Men." Sunday, August 16 at 10pm! In the meantime, if you haven't already -- time for you to 'Mad Men Yourself'.